The young deckhand could see the approaching island, palm trees swaying in the ocean breeze, sandy shores littered with driftwood, tropical birds singing in the hot Caribbean sun—and somewhere, deep in the jungle, buried somewhere, was the treasure he had been reading about since he was a young boy. And now, he was going to part of the team to discover it and take it back home to save his nation’s people. The above passage sets up the action that is about to come for the protagonist—a quest to discover a treasure. It is clear from this selection that the deckhand has traveled far and for a long time to reach this island; whether or not the trip was worth it remains a mystery for the reader to enjoy discovering. There are many types of adventure but their meanings are obvious. You could see most of them by exploring Netflix—types such as fantasy adventure, science-fiction adventure, supernatural adventure, and historical adventure. Adventure stories have been popular since the earliest forms of literary fiction. For instance, one of the oldest pieces of fiction in English is an adventure written during the Middle Ages—Beowulf. In fact, most medieval romances, such as the King Arthur stories, consisted of a series of adventures. Adventures are important to humanity in a couple of ways. They are a form of “the hero’s journey” which, according to theorist Joseph Campbell is a universal story about the psychological growth of human beings. Which is probably why adventures are usually stories of self-discovery for the protagonist. Mythological stories are also usually adventures and as we have all heard, mythology is the way ancient cultures explained their world and their beliefs. Finally, it is a form of escapist literature—works that allow the reader to escape everyday life to enjoy strange faraway lands and wild stories of mystery and discovery; in other words, adventure is food for the imagination, one of our most important forms of intelligence. What if he turned his back, now, and disappeared mysteriously? What if he went away — ever so far away, into unknown countries beyond the seas — and never came back any more! Tom Sawyer is a fairly normal boy while Huck Finn, the son of the town drunk, is more of a drifter and often the driver of the adventures. The thoughts reflect the thinking of many if not all little boys, which shows us why adventure stories are so popular; most of us hunger for adventure when we are children—and most adults hunger to feel what it is like to be a child again. I did not discover any good effects they produced; but on the contrary, I never knew a soil so unhappily cultivated, houses so ill contrived and so ruinous, or a people whose countenances and habit expressed so much misery and want. Swift’s novel is a commentary on society, politics, religion, morality, and other social topics. In the above passage, Swift actually makes fun of a traditional adventure story by providing a detailed description of a miserable and unimpressive place. Some of Gulliver’s travels lead him to interesting and awing discoveries, while others lead to boring and disappointing discoveries. Hook is a fantasy adventure movie based on the beloved fairy tale and adventure story Peter Pan. In the film (not in the original story) Peter is a middle-aged workaholic who overlooks his family. One night, the villainous pirate Captain Hook kidnaps his children—because Peter is actually the grown up Peter Pan, but he doesn’t remember his life in Neverland. He returns to Neverland to get his children back, and goes on a wild adventure. 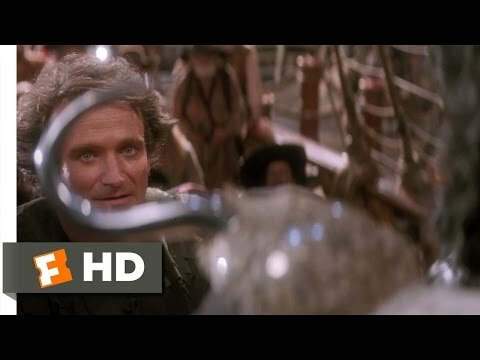 After rejoining the Lost Boys and Tinkerbell, Peter resumes his identity as the hero Peter Pan, and confronts Captain Hook. Peter and his Lost Boys face Captain Hook and his crew in an important battle in Neverland’s history. It is what Peter’s whole adventure has been leading to and what the audience has been waiting for throughout the story. 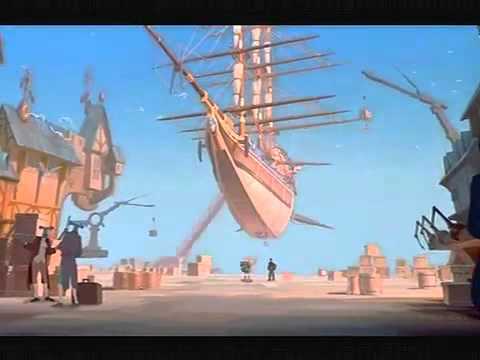 Treasure Planet is an animated adaptation of the famous adventure novel Treasure Island by Robert Louis Stevenson. In the film, the young protagonist Jim Hawkins sets out on a quest to find the mysterious treasure planet, which legend claims is home to the infamous Captain Flint’s vast collection of hidden treasure. Adventure stories can be changed to take place in any time or location. The classic story of Treasure Island is reset in the future, with flying ships and strange aliens, robots and interstellar travel; it achieves the same feelings as Treasure Island but in a new and exciting way. Fantasy a genre of fiction that concentrates on imaginary elements (the fantastic). This can mean magic, the supernatural, alternate worlds, superheroes, monsters, fairies, magical creatures, and mythological heroes. Many adventure stories involve elements of fantasy, but not all fantasy stories are necessarily adventure stories. Adventure fiction is a genre of literature that features stories of adventure, such as world travel, difficult quests, voyages of discovery, and other journeys. They might involve things like pirates and buried treasure, the search for a secret place or object, or a quest or expedition whose success is crucial for personal or societal reasons. In conclusion, adventure allows the audience to escape into exciting stories about faraway places, long hidden secrets, and voyages of discovery. It is an age-old genre that has been popular among all ages since the beginning of literature because human beings are born with imaginations—perhaps our most unique quality among all animals!